This bag comes in Togo calfskin, which is a thick pebbled leather that has just enough give and isn’t overly rigid. The dimensions leave plenty of space for most laptops, as the bag measures 15″ wide. 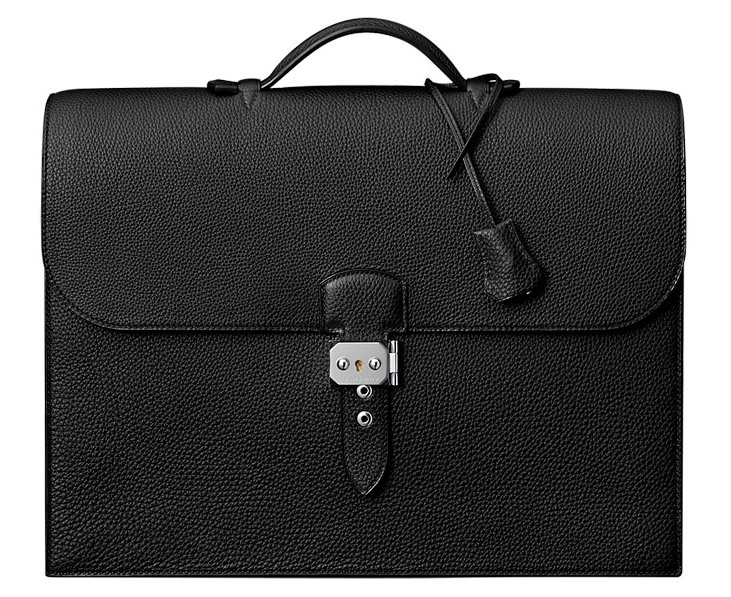 If you or your man are looking for a simply stunning briefcase, look no further. Buy via Hermès for $8,400.